Oahu, Hawaii is world renowned for its breathtaking beaches, amazing surf breaks and beautiful mountain ranges. However, one thing the most isolated island chain on earth is not well known for is saltwater fly fishing and it’s trophy bonefish. The first thing that comes to mind when fishing in Hawaii is deep sea fishing. The island of O’ahu, which means the gathering place, is home to some of the largest bonefish or “‘O’io” on earth. We have amazing Bonefish flats on both the eastern side of the island and the southern side that present the visiting fly fishing angler opportunities to wade or pole the Hawaii Bonefish flats in search of these elusive giants. Our Hawaii bonefish average 5 to 7 pounds consistently, but come prepared for shots at some in the 8 – 10 pound plus range. 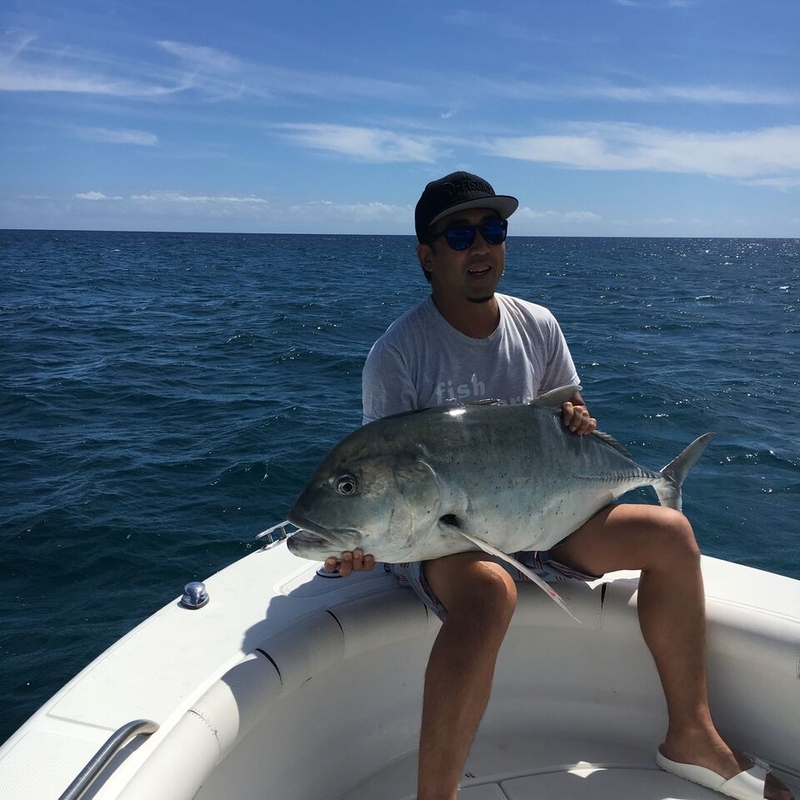 Additionally, we do occasionally have shots at different types of Trevally, including Giant Trevally, or “Ulua;” Blue Trevally, or “Omilu;” and Golden Trevally, or “Pa’o Pa’o” on the flats. Average day on the Hawaii Bonefish flats we see 40-100 fish in a day and have excellent shots on about half of them or more. Fly Fishing Conditions on O’ahu Hawaii can be challenging like many other saltwater fly fishing destination with strong winds, although we do have many great days with perfect wind and great visibility. For those willing to accept the challenge the returns can easily yield the bonefish of a lifetime. Honolulu is the first stop for anglers traveling to Christmas Island. 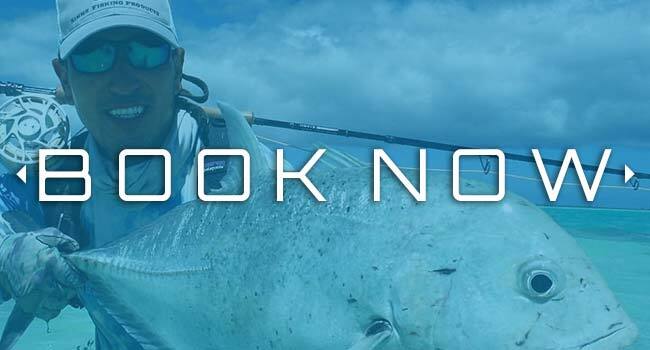 Take advantage of this opportunity at Oahu's Bonefish and get a few tips as well. Oahu also has some good GT fishing on the outer reefs around the island. We target these trophy game fish on top water poppers and stick bait lures. 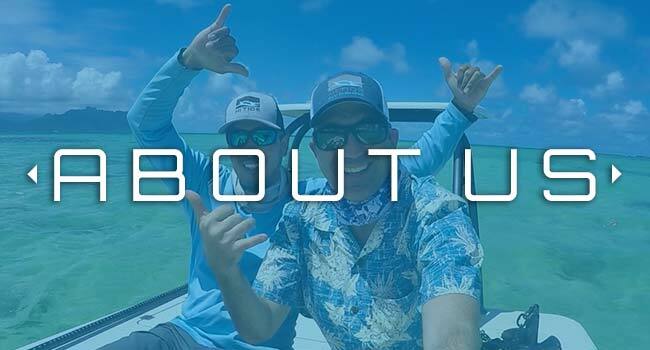 HI Tide Fishing Co. is dedicated to offering one of the best fly fishing and sport fishing experiences, we are one of Oahu Hawaii's best Fly fishing guide and charter fishing service, our experience, attention to detail, weather, tides, solid and clean boats and top of the line fly rods and fishing equipment. We are fully insured, USCG licensed and commercially permitted by the State of Hawaii. We look forward to getting you on the water! 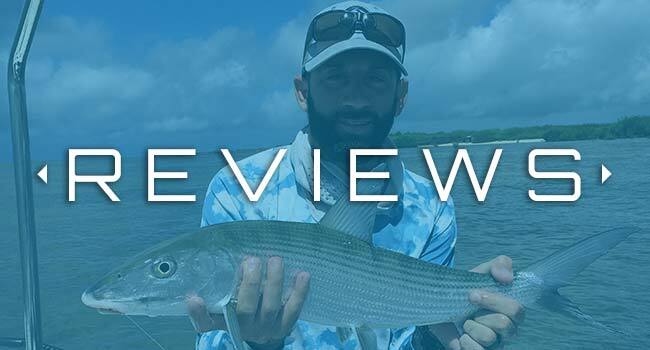 Bonefishing in Oahu Hawaii can be some of the most challenging Bonefish to catch with a fly rod rewards can be great with some of the biggest bonefish. We use 9′ saltwater fly rods 7wt, 8wt or 9wt with a saltwater safe fly reel with a good drag. WF floating saltwater fly line with 200 yds of 20-30 lb backing, 9′ to 12′ fluorocarbon tapered leaders with 16 lb and 12 lb tippet. Popping and jigging charters on the island of Oahu Hawaii. Hawaii has opportunities for Axis Deer, Mouflon Sheep, Spanish Goats, Wild Boar and Upland Gamebirds. Those interested in booking a hunting adventure please send us a email.